The fourth network offers their spin on the ratings for the second week of the 2012-13 season with 10 of the top 20 shows in the coveted demo. The folks at FOX make particular mention of American Dad, Ben and Kate, Bob’s Burgers, Bones, The Cleveland Show, Family Guy, Fringe, Glee, The Mindy Project, The Mob Doctor, New Girl, Raising Hope, The Simpsons, and The X Factor. Last week, FOX’s Tuesday comedy block, the Sunday Animation line-up combined with THE X FACTOR, BONES and GLEE to lead the network to rank No. 1 among Teens, No. 2 among Adults 18-34 and No. 3 among Adults 18-49. · 4 of the Top 20 programs among Adults 18-49: THE X FACTOR-WED (No. 8), FAMILY GUY (No. 10), THE X FACTOR-THU (No. 13) and SIMPSONS (No. 15). · 10 of the Top 20 programs among Adults 18-34: FAMILY GUY (No. 2), SIMPSONS (No. 4), THE X FACTOR-WED (No. 5), NEW GIRL (No. 9 tie), AMERICAN DAD (No. 9 tie), FOX NEWS PRESIDENTAL DEBATE PST (No. 12), BOB’S BURGERS (No. 14 tie), THE X FACTOR-THU (No. 14 tie), CLEVELAND SHOW (No. 16) and GLEE (No. 18). · 8 of the Top 20 programs among Teens: FAMILY GUY (No. 2), THE X FACTOR-WED (No. 4 tie), SIMPSONS (No. 4 tie), GLEE (No. 4 tie), THE X FACTOR-THUR (No. 7), AMERICAN DAD (No. 9), BOB’S BURGERS (No. 10) and THE CLEVELAND SHOW (No. 14). · 2 of the Top 20 programs among Total Viewers: THE X FACTOR-WED (No. 18) and THE X FACTOR- THUR (No. 20). On Monday, FOX ranked No. 4 for the night in Adults 18-49 and No. 3 in Adults 18-34. BONES posted a 2.1/6 among Adults 18-49. BONES was the second highest-rated drama of the night outperforming both ABC’s Castle (1.9/5) and CBS’ Hawaii Five-O (2.0/5) by +11% and +5% in Adults 18-49, respectively. At 9p THE MOB DOCTOR posted a 1.0/2 in Adults 18-49. FOX won the night in Adults 18-34, outperforming the No. 2 nets of the night (CBS and NBC) by +24% (2.1 vs. 1.7 for both). FOX ranked No. 3 for the night in Adults 18-49. At 8p the season premiere of RAISING HOPE posted a 1.7/5 among Adults 18-49, on par with its 8p average last spring (3/6/12-4/3/12, 1.7/6). Week two of BEN AND KATE delivered a 1.6/5 and retained 94% of its RAISING HOPE lead-in (1.6 vs. 1.7). NEW GIRL at 9p posted a 2.8/7 in Adults 18-49. NEW GIRL was the highest rated program of the night in Adults 18-34 with a 3.1 rating. Following at 9:30p week two of THE MINDY PROJECT posted a 1.9/5 in Adults 18-49. THE MINDY PROJECT won the 9:30p half hour in Adults 18-34 and outperformed The New Normal in head to head competition by +12% in Adults 18-49 (1.9 vs. 1.7) and +47% in Adults 18-34 (2.2 vs. 1.5). 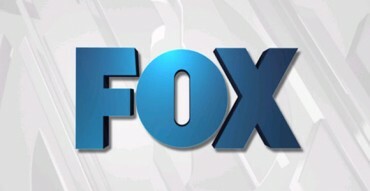 On Wednesday, FOX won the night in Adults 18-49, Adults 18-34 and Teens. To date, FOX has won every Wednesday night THE X FACTOR has aired this season. THE X FACTOR posted a 3.5/11 among Adults 18-49, up +3% from the previous week (3.4/10). Versus the previous week’s comparable 8-9p hour THE X FACTOR was up +9% (3.2/10, 8-9p). THE X FACTOR was the highest-rated entertainment program of the night in Adults 18-49, Adults 18-34 and Teens. The FOX News: Presidential Debate ’12 from 9-10:33p was sustained. From 10:33-10:39p, FOX News: Debate Analysis posted a 2.4/6 in Adults 18-49. FOX ranked No. 2 for the night in Adults 18-49 and won the night in Adults 18-34 and Teens. FOX outperformed the No. 2 net of the night by +24% in Adults 18-34 (2.6 vs. 2.1 for ABC). At 8p night two of ‘Boot Camp’ on THE X FACTOR posted 3.2/10 among Adults 18-49. THE X FACTOR was even week to week in Adults 18-34 (2.7) and Teens (2.7). GLEE posted a 2.6/7 at 9p, up +8% from the previous week in Adults 18-49 (9/27/12, 2.4/7), +5% in Total Viewers (6.1 vs. 5.8 Mil) and +22% in Teens (2.8 vs. 2.3). GLEE was the highest rated program of the night in Teens. FOX ranked No. 2 on Friday night among Adults 18-34 (tie) and No. 3 in Adults 18-49 (tie). At 8p an encore of THE X FACTOR posted a 1.1/4 among Adults 18-49. FRINGE at 9p posted a 1.0/3 in Adults 18-49. On Saturday, FOX ranked No. 1 among Adults 18-49 and Adults 18-34 with FOX COLLEGE FOOTBALL. FOX ranked No. 2 for the night in Adults 18-34 and Teens and No. 3 in Adults 18-49. The season premiere of CLEVELAND did 2.2/6 in Adults 18-49, up 22% from its 7:30p premiere last fall (11/20/11, 1.8/5) as it earned its highest 7:30p telecast ever. THE SIMPSONS at 8p posted a 3.1/8 and was the second highest-rated entertainment program of the night in Adults 18-34 and Teens, behind FAMILY GUY. At 8:30p BOB’S BURGERS did a 2.3/6 in Adults 18-49 and showed higher retention of its SIMPSONS lead-in versus the previous week (74% vs. 68%). FAMILY GUY posted 3.4/8, up +3% from the previous week’s season premiere (9/30/12, 3.3/8). FAMILY GUY was the highest rated entertainment program of the night in Adults 18-49, Adults 18-34 and Teens. AMERICAN DAD at 9:30p delivered 2.6/6, up +4% from its season premiere the previous week (9/30/12, 2.5/6).